This is for a VA Loan. $500.000 loan amount, 0% down, with a FICA score of 700-719. 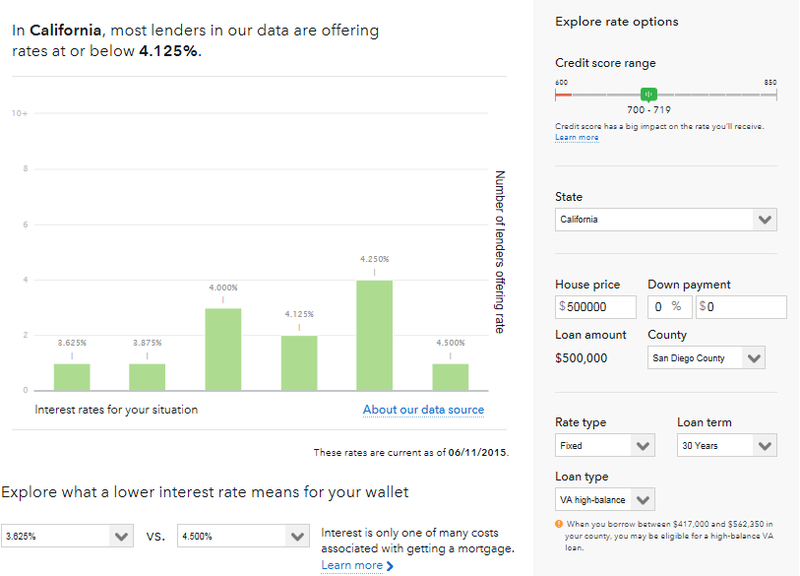 This entry was posted in Uncategorized and tagged getting a good interest rate, home interest rates, mortgage calculator. Bookmark the permalink.